Behind every painting there´s a story, this is exactly were Mousmé comes from. La Mousmé, is one of Vincent Van Gogh´s lesser known paintings, but it showcases a different wave of beauty and femininity from what is typically seen in art. Since this is not an article about art, this painting makes sense while explaining the idea behind some pieces of jewlery. 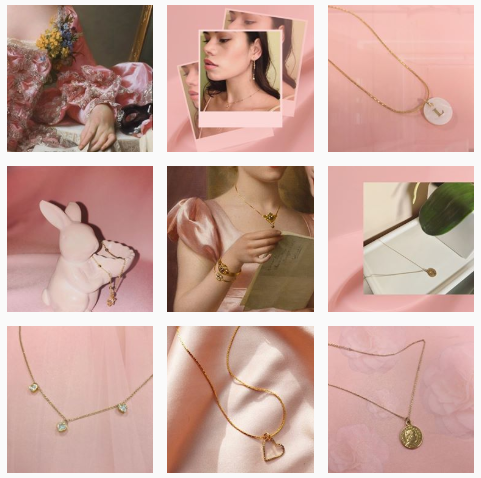 I started using the name Mousmé to sell accessories I made under a different concept I´ve seen from other girls selling social media; trying to create an implicit storyline to add to these. On one hand I had basic marketing knowledge from school and on the other side I had a bunch of art and fashion references in my head I wanted to share. So I this is how I ended up selling the pieces I made for fun not really knowing what to expect. I’ve never been very good in selling, despite that a few days ago someone associated my brand to a gift bag I had given someone just because of the pink tissue paper that came up from the top. At that moment, I realized that I had achieved something. That’s why I share what my small attempt of turning my hobby into something else, has taught about branding. The importance of telling a story. Instagram is the perfect place to convey the essence of a brand, with just photographs and a specific design theme you can define who the brand is. While the visual part of it is important, the story and personality of the brand must be present in each image. 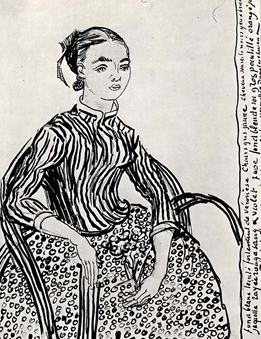 In Mousmé’s case, the thing about taking the name of a painting is not only meant to add interest, but the real meaning behind Van Gogh´s work describes a woman of Asian origin, well dressed and feminine which perfectly describes to the inspiration behind each necklace or pair earrings that is being sold. 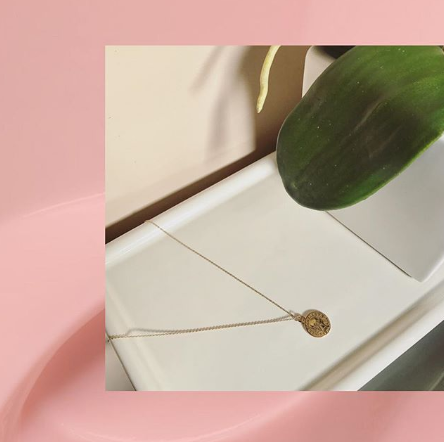 This narrative is catered towards girls with an inevitable attraction to the aesthetically pleasing Instagram profiles, but at the same time tries to share the beauty of art while promoting simple pieces of gold plated jewlery. Creating this concept taught me that each action or object related to the brand carries a piece of this initial imagination, and ends up shaping the brand in front of the eyes of the consumers. Telling a story adds that value that distinguishes one brand from another, and in front of consumers it excites, connects or educates beyond selling. Colors have a much more important psychological weight than we give them credit for, colors represent emotions that can express more than we think. Associating color to brands is a key connection to the mind of the consumer. 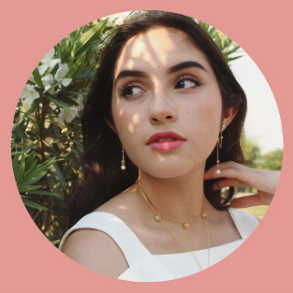 In my case, I started using a more coral or millenial pink shade for the simple fact that I liked how it looked, something as simple as pink tissue paper created that immediate association. Getting the ideal shade of pink in photographs is harder than it seems, but the effect it gives is really worth it. The social media is has become an ideal tool for connecting brands to the general public, the more obsessed we are with these platforms the more relevant it is that they are being used constantly. In a world where we are saturated with content, it’s important to create content with a message or purpose that stands out. Brands don´t just sell products or services, modern day brands “sell” media and ideas before actually getting people to buy. Selling only by Instagram has taught me that it’s important to create attractive or different content, but also that consistency and strategies are a fundamental part in achieving visibility. As for brand ambassadors, celebrities or popular influencers aren´t the only answer, especially for smaller brands, having a group of people among your acquaintances who believe and talk about what you are doing can bring more interest to your brand than any promotion. Also working with social networks allows constant interaction with consumers, which helps create community and more invested following. Most of the people who have started following my account have said they were directed by my friends or because they have seen them wearing many of the pieces I sell. This entry was posted in Branding, Business Marketing, Marketing. Bookmark the permalink.